Our Community. Your Family and Cosmetic Dentist. Insight, experience, dedication to the highest level of patient care, and being a part of the Sumter community are just a few of the qualities that have made Palmetto Family & Cosmetic Dentistry Sumter's best dental practice. An expert family and cosmetic dentist working out of one of our two inviting Sumter, SC, offices can help improve your self-image, confidence, and well-being by perfecting one of your most valuable assets — your smile. 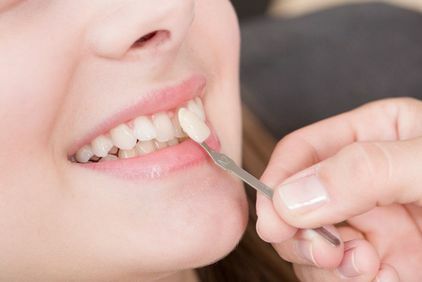 Palmetto Family & Cosmetic Dentistry offers cosmetic dentistry, including teeth whitening and porcelain veneers, restorative dentistry, including dental implants, and general dentistry. Above all, our dedicated and compassionate team of highly experienced, doctors, hygienists, and staff will attend to your every dental need. These thin porcelain shells are placed over a tooth to improve its size, shape, and color in a single visit. 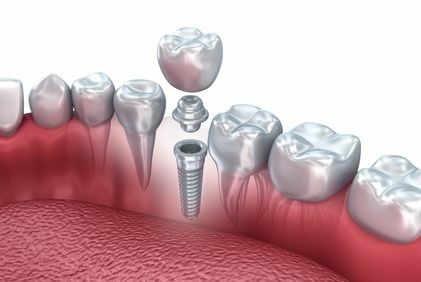 Implants with restorations replace single or multiple missing teeth, while improving jaw health. With CEREC® technology, we can create and place your custom veneers and crowns on the same day. What makes Palmetto Family & Cosmetic Dentistry in Sumter special is our team approach to providing you with the very best in dental care, ensuring that you feel at home when you come for a visit. Take a look at our dentist’s profiles to meet your outstanding hometown dentists, and learn about their education and training as well as their experience and commitment to the Sumter community. Love this dentist. We come here from Columbia because they are the best! My hygienist, Colleen, is amazing! Dr. Van Patten is excellent! Highly recommend them.